Did I forget to post about this shawl? I think I did! 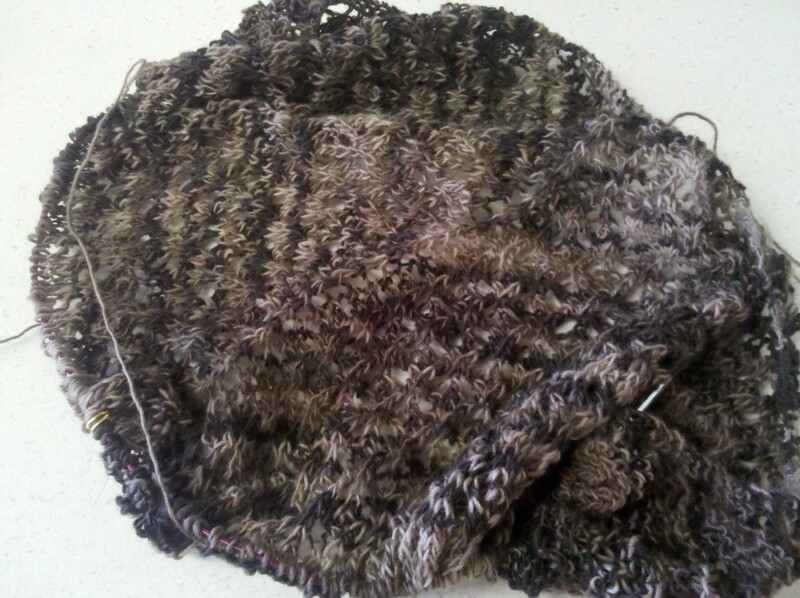 I am using more of the Chocolate 100purewool merino lace. I am about 75% done and want to finish quickly so I can start something fabulous with some of my fabulous new yarn!